The Foodie Card offer – 10% off food & drink bill (excludes any other offers). 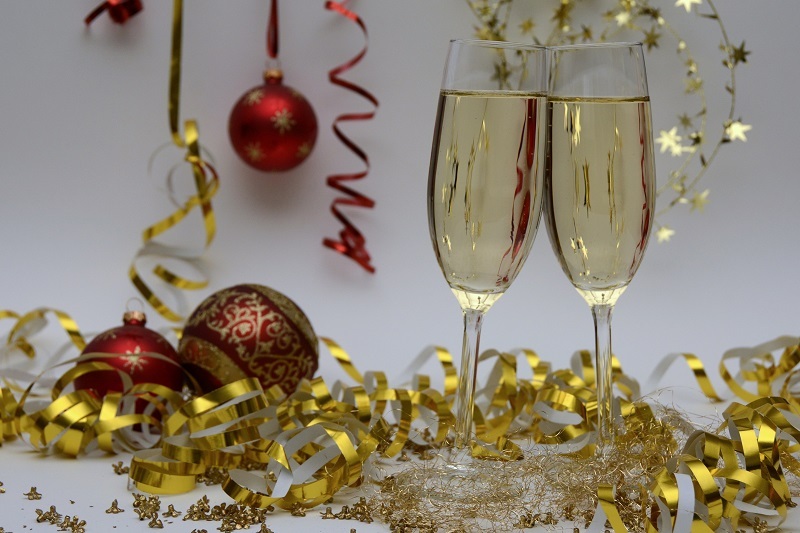 Bullocks Bistro & Bar in Droitwich can take the stress out of cooking on New Year’s Eve with their 3 course set menu, which includes a glass of Prosecco on arrival. 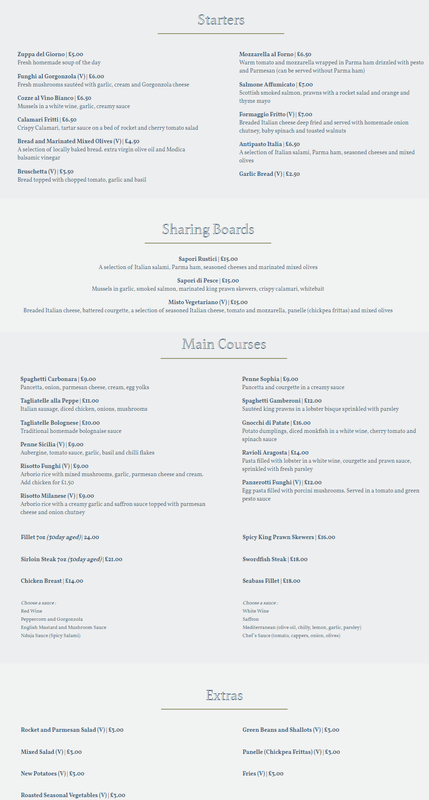 There is limited space and times available, so you will need to book soon if this is your local restaurant. The Foodie Card offer – A complimentary drink with breakfast. Choose a breakfast & brunch cocktail– Smokehouse Mary or Breakfast Virgin Mojito or Mimosa / or a coffee (available Fri – Sun from 9am – Midday). Hickory’s Smokehouse are running their main menu on both New Year’s Eve and New Year’s Day. They will be open from 9 am on NYE and 10 am on NYD. The Foodie Card offer – 15% off food & drink bill Mon-Fri, between 12 -2.30 pm (excludes Bank Holidays, Christmas day and new year’s day). The Mount Pleasant Hotel in Malvern are offering a 4 course set menu to enjoy in their newly refurbished restaurant. 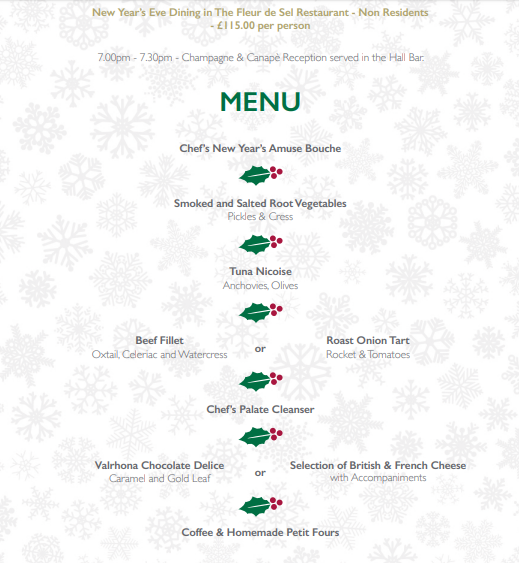 The New Year’s Eve Menu is available between 7-9:30 pm. Booking is essential. 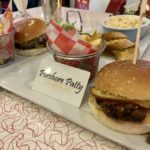 The Foodie Card offer – 10% off the food bill. Does not apply to this event. 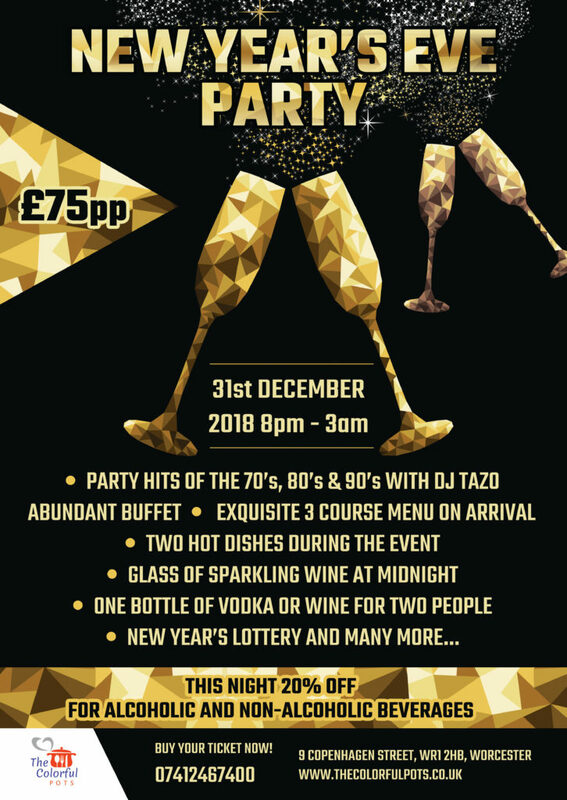 See in the New Year the Polish way at The Colorful Pots Restaurant in Worcester with a night of disco dancing, vodka and loads of food including a buffet, 3 course menu and 2 hot dishes during the evening to soak up the alcohol! All drinks on the night will be 20% off and the party will go on until the early hours of the morning. Celebrate in style with live music, DJ and dancing at Bolero Bar & Kitchen on Foregate Street, Worcester. Dance the night away to Old School R’n’b, 80’s Grooves, Soulful House & Funk tunes, only stopping for a champagne toast at midnight. Don’t forget to book your table and fuel up first with the delicious three course menu, including an amuse bouche and champagne on arrival. 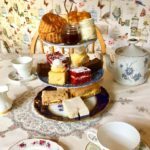 The Foodie Card offer – 10% off Brasserie dinner menu Sun-Thurs / complimentary glass of Prosecco when booking full Afternoon Tea. 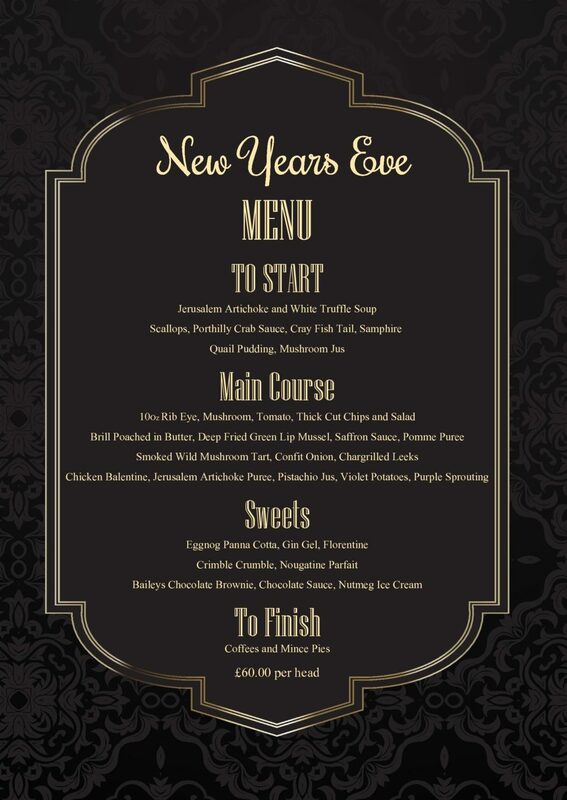 Go all out and book your New Years Eve at The Wood Norton near Evesham. Arrive at your leisure and start your evening with a Champagne & Canape Reception before an elegant seven course Gourmet Tasting Menu, prepared by the Head Chef and his team accompanied by the sounds of a live singer through dinner, and after dinner to get the party started, followed by more music and dancing with The Wood Norton’s resident DJ. Rooms within Pear Tree Mews Start from £225 per person (Upgrades available to rooms within The Main Hall). The Foodie Card offer – A complimentary glass of Veuve Clicquot champagne with every tasting menu (available Mon-Sat lunch and Mon-Sunday Dinner). 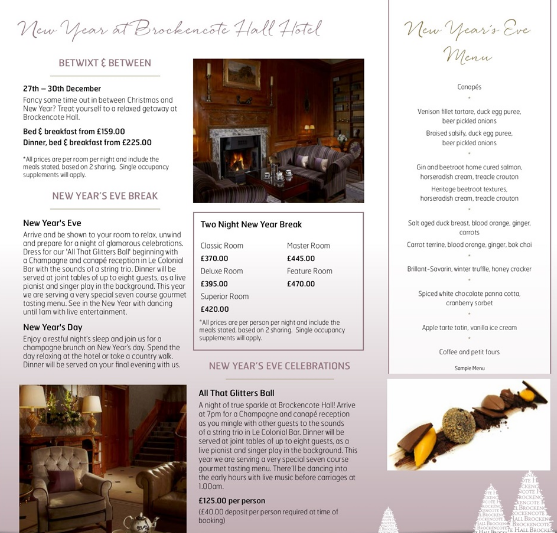 See in The New Year in style at Brockencote Hall near Kidderminster. Arrive at 7 pm for a Champagne and canapé reception as you mingle with other guests to the sounds of a string trio in Le Colonial Bar. Dinner will be served at joint tables of up to eight guests, as a live pianist and singer play in the background. There’ll be dancing into the early hours with live music before carriages at 1 am. The Foodie Card offer – 20% off food bill Tues-Thurs. Indulge in a five course menu with focaccia and fizz on arrival at Ostlers at Number 1, which you’ll find located near to the racecourse in Worcester. The restaurant opens from 6 pm on New Year’s Eve and will be closed for lunch on New Year’s Day, but will be back open in the evening as usual. If you’ve visited Ostlers before then you’ll know how popular this independent restaurant is, so make sure you get in early to secure your table. The Foodie Card offer – 10% off food Tues-Fri lunch and evening menu / 2 course lunch on Sundays for £13.50. Begin your celebrations with an Italian themed dinner this New Year’s Eve. The Elgar Inn is based on the Worcester Road, just outside of Upton-upon-Severn. There is lots of parking outside and the large restaurant can cater for big groups and is ideal for a get-together with friends or family. The Foodie Card offer – 10% off restaurant menu (Tues-Thurs evenings). The Foodie Card offer – Free 175 ml glass of house wine with every main meal on Wednesdays. The Ivy Inn, on Arrow Lane in North Littleton has recently been refurbished and its new restaurant opened in May 2018. This quality pub offers a pleasant traditional setting in which to enjoy great food and drinks. 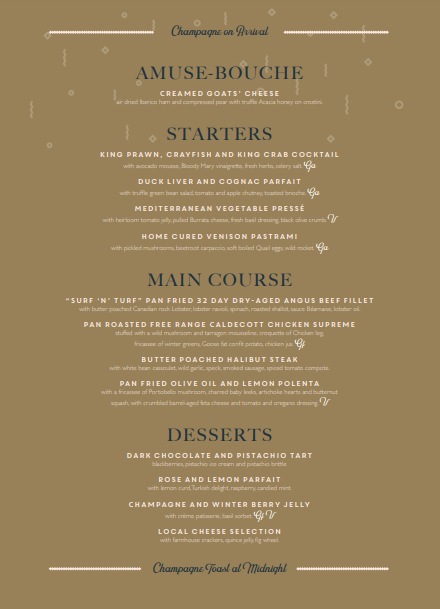 The Ivy Inn will be open on New Year’s Eve serving their al a carte menu however, word of the great food is spreading and they are booking up fast so you’ll need to book fast if this is your local. Who says you can’t eat pizza on New Years Eve? 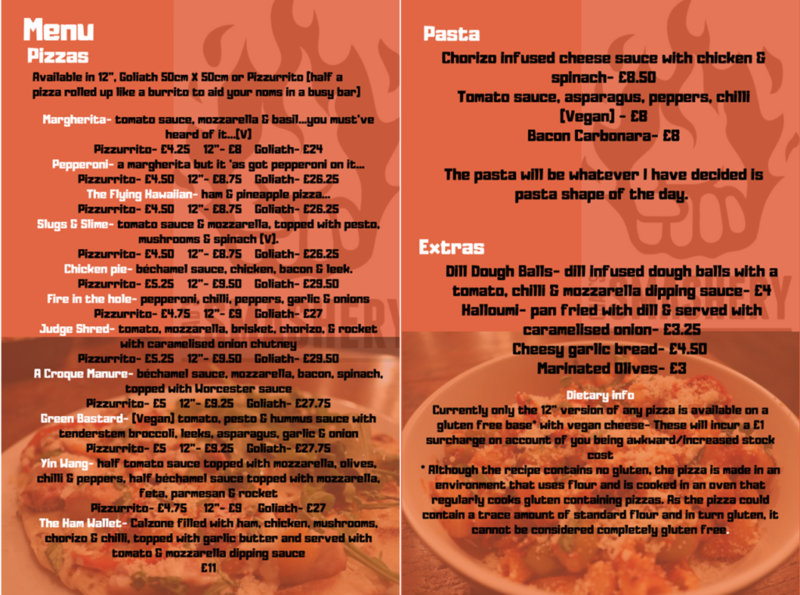 Chad’s Smashery on Copenhagen Street in Worcester will be serving food from their usual pasta and pizza menu from 6 pm until midnight. 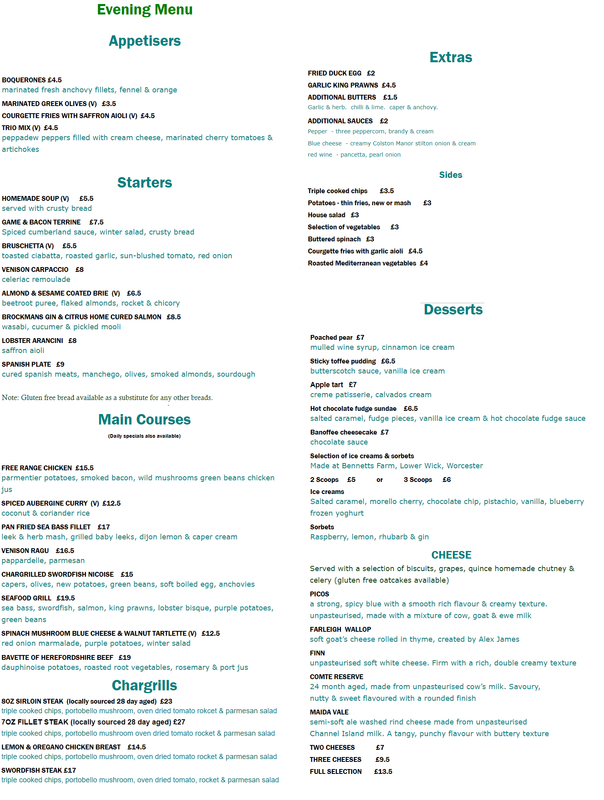 The Foodie Card offer – 20% off the a la carte menu. 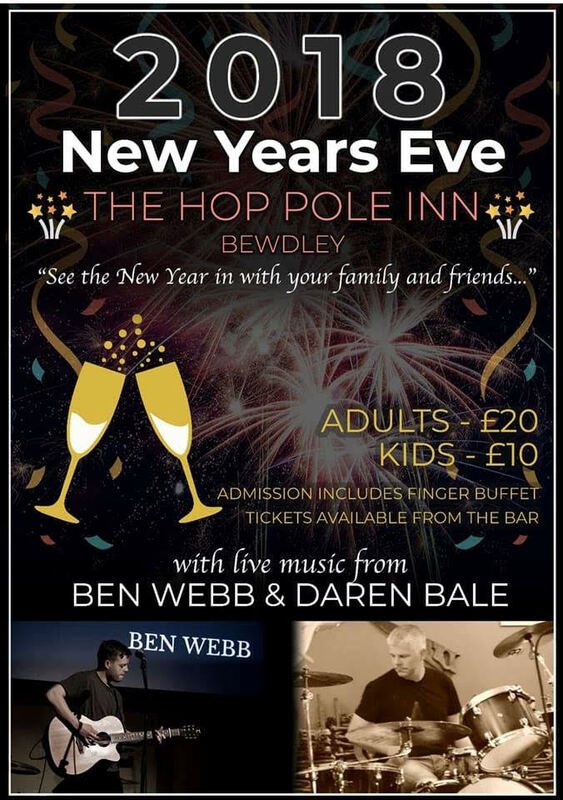 The Hop Pole in Bewdley are putting on a spread of live music and a finger buffet this New Year’s Eve. The party night will be a little more informal than their usual fare without the a la Carte offer, but it is set to be a great night for all of the family! The Foodie Card offer – 15% off lunch menu & 10% off dinner menu (limited to max 4 diners per booking). Family owned restaurant Peppe’s in Malvern has recently re-opened after a stunning refurbishment. 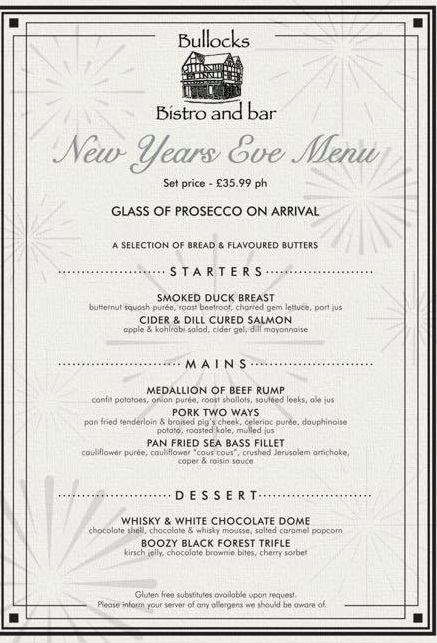 They will be running their main menu this New Year’s Eve, supported by their specials which will be obviously be super special for the big night! All guests will receive fizz and canapes on arrival and fizz and lentils (an Italian tradition to bring good luck for the coming year) at midnight. 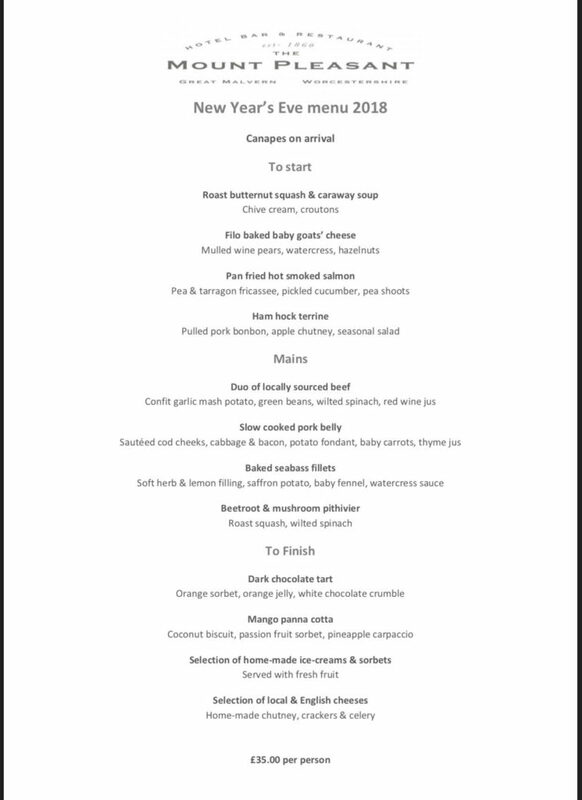 The Foodie Card offer – 15% of the bill with 2 or more courses from the lunch or dinner menu (Mon to Thurs). Based on the waterside at Diglis Marina, The Anchor Inn & Boathouse is a family run pub which dates back to the 1800s. 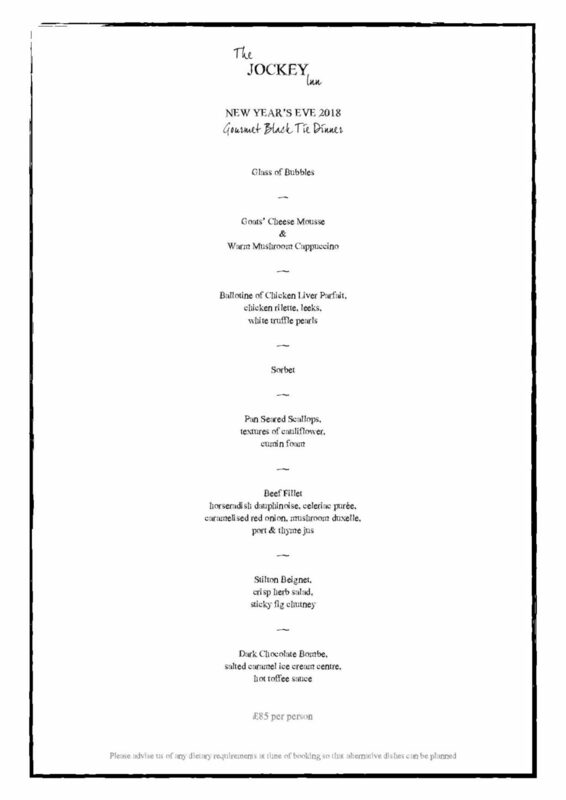 The Anchor will be open from 5 pm with their usual al a carte menu available from 5:30-9 pm. 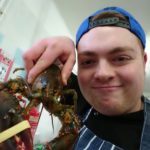 Expect to see some seafood specials too including; lobster, scallops, mussels, tomahawk steak, lemon sole and more. Stick around for the fireworks at midnight! The Foodie Card offer – Free house nachos with any 2 main meals purchased on the evening menu. 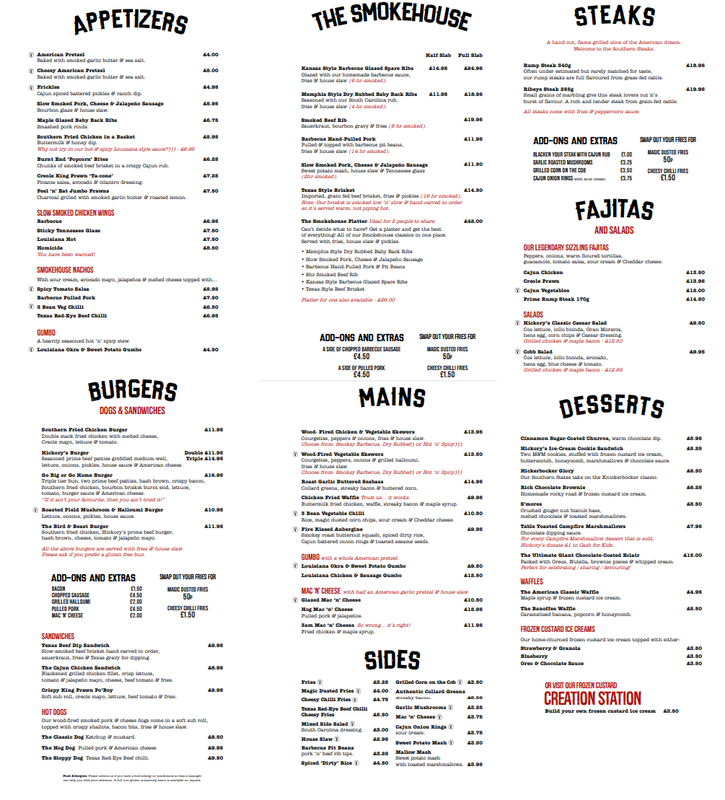 Chesters Restaurant & Bar on New Street in Worcester is a popular venue for Mexican food which includes traditional dishes and more modern cuisine. They have a great range of vegetarian and vegan options too. 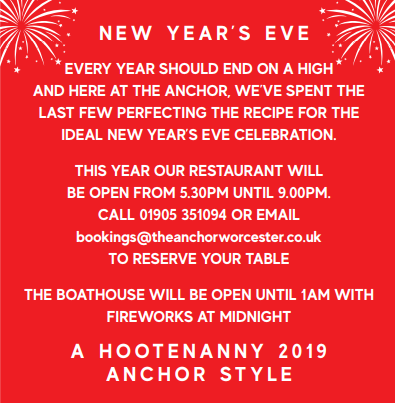 Chesters will be serving food until 9 pm from their standard menu on New Year’s Eve and will be closed on New Year’s Day. The Foodie Card offer – 20% off lunch menu between 12 pm-5 pm / 20% off all bottles of fizz at anytime. Primo, a premium bar and dining destination situated in the historic part of Sidbury, Worcester, is the spot to experience the stunning view over Worcester’s Cathedral! 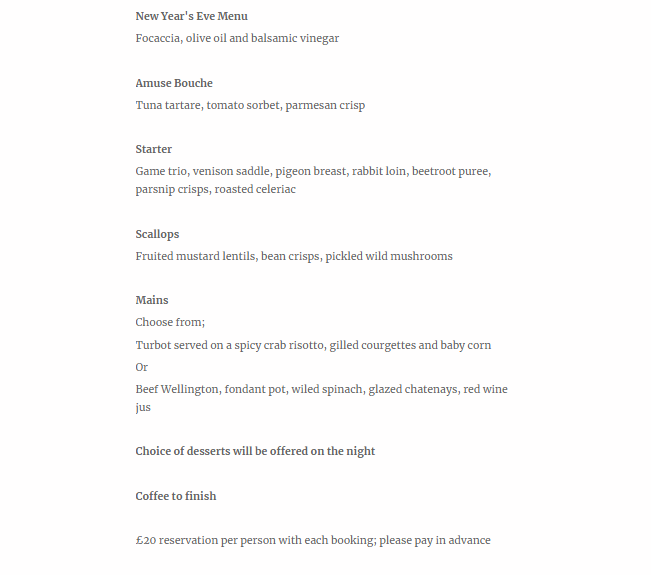 On New Year’s Eve Primo will be serving food from their set menu and will be available to book from 4 pm. 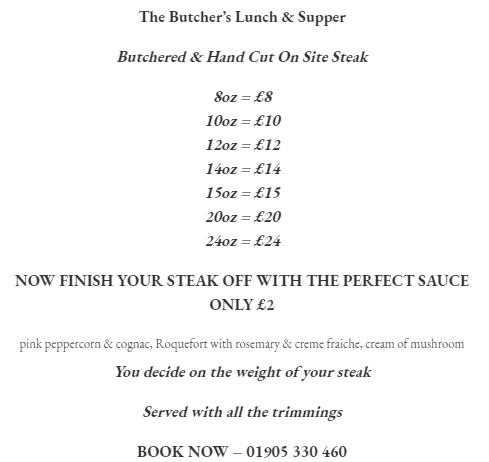 The Foodie Card offer – 50p per ounce off all Fillet and Sirloin cuts. For steak lovers a visit to Ounce Bar & Kitchen located on The Tything in Worcester is a must. Order from a variety of cuts and relax knowing that the chefs here will cook your steak to perfection. 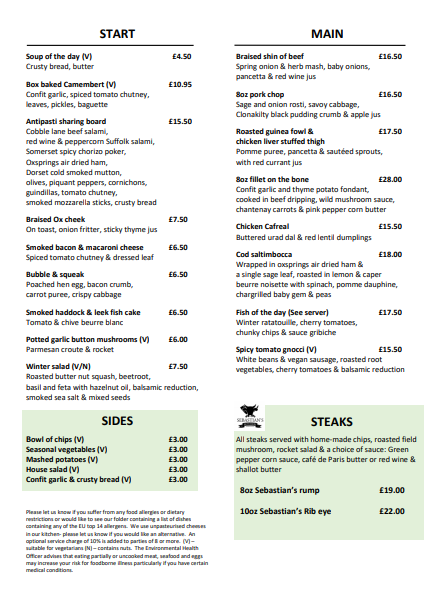 Other dishes are available with a good range of starters and alternatives to beef for those who are less steak obsessed! On New Year’s Eve Ounce will be serving food until 7 pm, closing at 9 pm. As a special they are offering the £1 per ounce menu. The Foodie Card offer – 10% off food & drink bill OR a free Camembert to share when you spend over £15 on food (Sun-Fri). If you don’t feel like opting for a set New Year’s Eve dinner, or you’re looking for something lighter to nibble on with your celebratory drinks, then Bottles Wine Bar in Worcester have you covered. 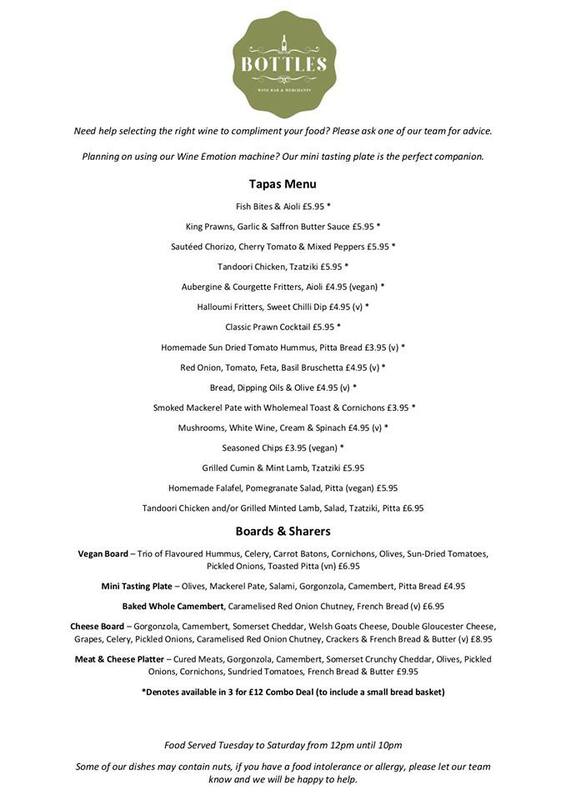 Bottles will be serving their usual delicious tapas menu on New Year’s Eve up until 9 pm. The Foodie Card offer – 20% off food Mon-Thurs lunch and evening (not available with any other offers). Opened in 1995, Saffrons has become a favourite in Worcester for its high quality freshly prepared meals created using locally sourced ingredients. The restaurant offers a relaxed and cosy dining experience and was recently included in the UK Good Food Guide 2018 and is also in the 2019 Guide. Saffrons are open for lunch on New Year’s Eve and are serving their usual menus and specials in the evening from 5-9 pm (certain dishes may change depending on availability). Saffrons will be closed on New Year’s Day to sleep and re-open on the 2nd January. 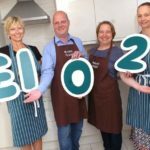 Treat yourself and a friend or loved one to The Foodie Card this Christmas and you can enjoy exclusive offers at all 180+ foodie independents, including those listed in this article. Buy the card now for £15 (or two for £25) for year-long savings whilst supporting local.